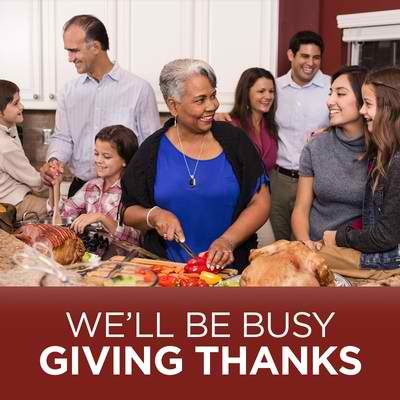 Just like you, the Tracy-Driscoll team will be enjoying time with family and friends over the Thanksgiving Holiday. Our offices will close at 4:30 p.m. on Wednesday, November 21st and reopen at 8:00 a.m. on Monday, November 26th. Whether you’re hosting the people you love at home or taking this holiday on the road, remember our After Hours Call Center team is always on alert and ready to help you 24/7… Whenever you need us, call 1.866.387.8372. With warmest appreciation, we wish you a happy and healthy holiday. Thank you for trusting us to protect how you work, live and play.